Boston Terrier puppies are quite the individuals. They can be silly and playful, calm and majestic, or alert and protective. Although each Boston Terrier puppy their own personality, there is one thing they all have in common: they are downright charming. 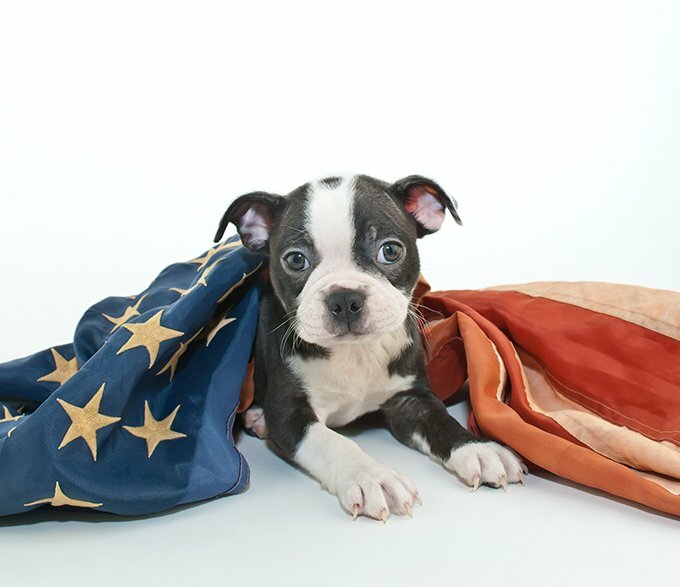 If you are thinking about going to a shelter or a rescue for your own Boston Terrier puppy, here are some fun facts to know about the breed. While many breeds can be traced back to ancient times, the Boston Terrier is a relatively new breed that was created in the United States. 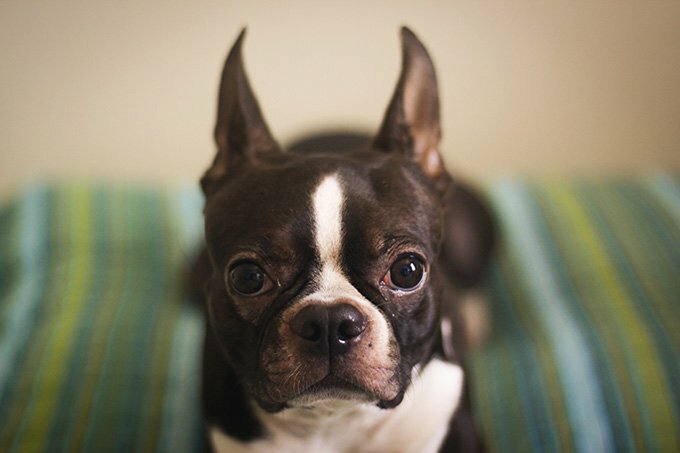 In fact, the Boston Terrier is the first official breed that was created in the U.S. They were originally bred for dog-fighting and were much larger, clocking in around 45 pounds. After dog fighting was outlawed, the aggressive dogs became the much smaller, dapper pets we know now. Despite the violent reason for their conception, Boston Terriers are really in-touch with their owners’ feelings. Boston Terriers tend to latch onto one person and have a special affinity for the eldery. They are a sensitive breed. This doesn’t mean they won’t love every member of your family, but they will definitely be someONE’s shadow. Snorting. Awkward toots. Wheezes. These are some things to expect as your Boston Terrier puppy grows up. Boston Terriers can be prone to respiratory problems due to their small, smushed faces. The gassy-ness has to come from one of the Boston Terrier’s forefathers, the American Bulldog. Luckily, Boston Terrier puppies are only around five pounds at the eight week mark, so the toots won’t be too ferocious at the beginning, and by the time they get older, you will love them too much to care about the stink. 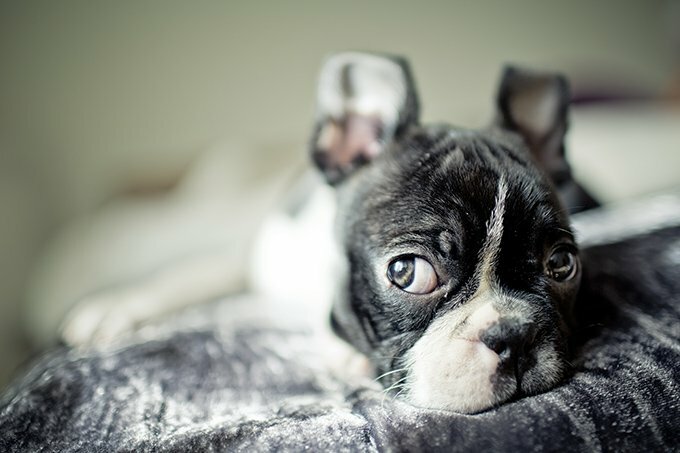 Even though Boston Terrier puppies are small, their bark is anything but. Boston Terriers are very protective of their families and will forewarn you of any strangers coming to the house. And about the mailman. And that strange shadow in the window. 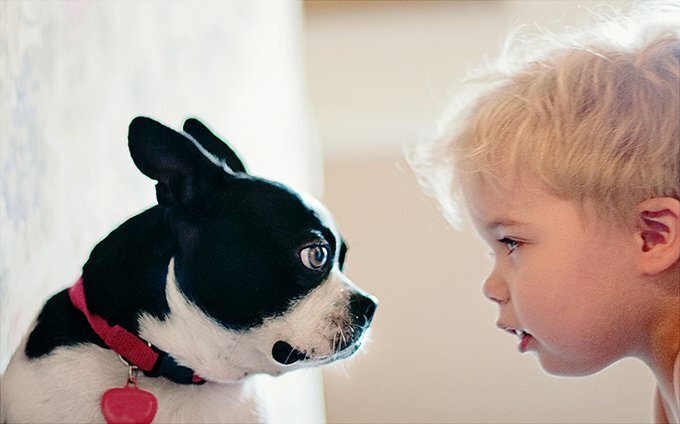 Some Boston Terrier puppies may not be as vocal, but be sure to use some barking training tips if your pup is getting too mouthy. It seems natural to assume a dog with the word “Terrier” in their name would actually BE a terrier, right? According to the AKC website, they are actually a part of the “non-sporting group.” Wonder why the word “terrier” would even be a part of the Boston’s moniker? 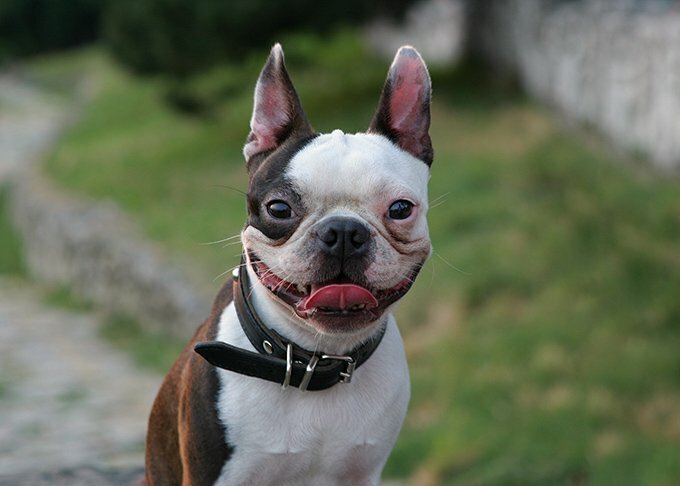 It’s because Boston Terriers were originally bred from a Bulldog and the now-extinct White English TERRIER. The name just kind of stuck. Remember, you can find just about any breed of dog you are looking for at a shelter or rescue. Look on Facebook for a Boston Terrier Rescue groups in your area.